Of course I was in tears and the whole thing is on camera, cleverly set up by him so he could “record his music”. He then pulled out a ring box and got down on one knee. 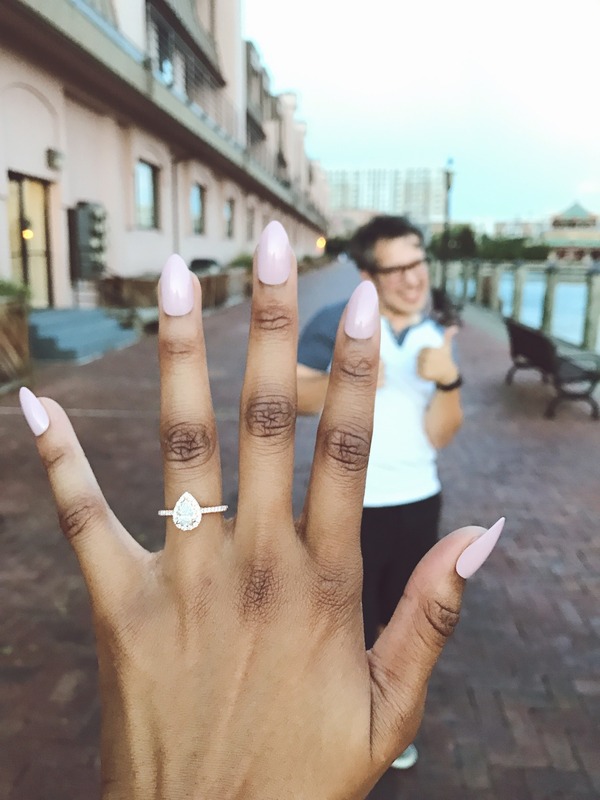 I accepted without hesistation and we were engaged! 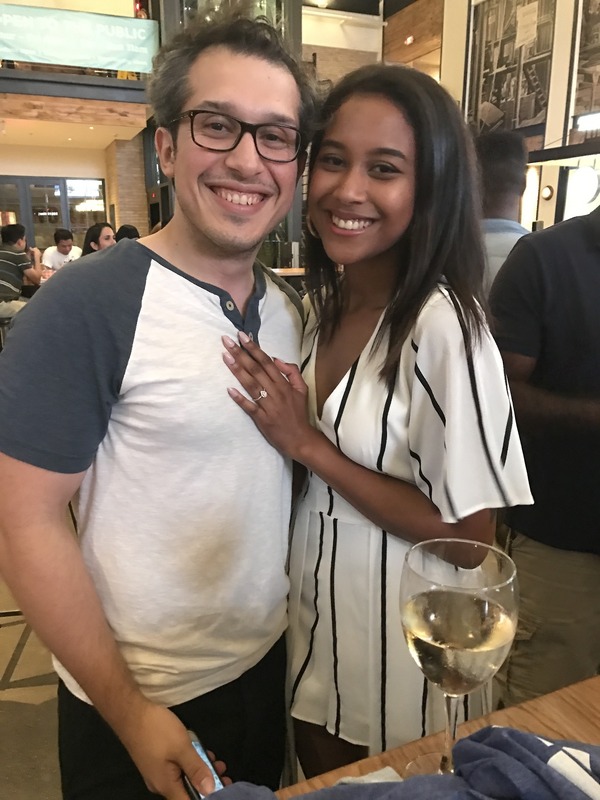 We headed to the Waterside District and I was surprised to learn that my brother and his girlfriend, my friends and his were all waiting for the news and to celebrate our new status! The night was amazing and it’s definitely one to remember. The next day, we had brunch with family at Peter Chang’s and it was a hit! I loved being able to share some of my culture’s food with my new family and having everyone get to know each other better. So far the engagement period has been very exciting. 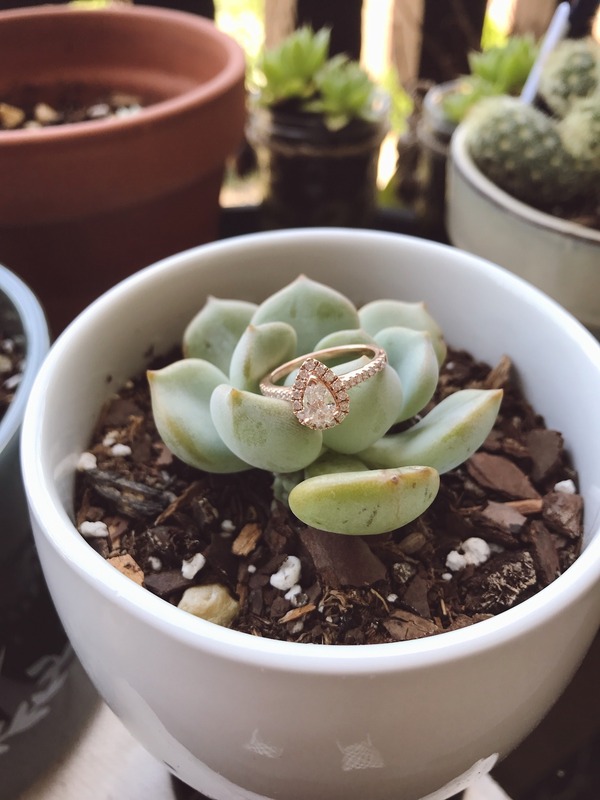 I am so in love with my ring, it was custom made in Arlington, made out of rose gold with a pear shaped diamond, and a halo setting. My Pinterest board come to life! As far as planning, I’m holding off until I finish my thesis, find a job, move, and Daniel recovers from his heart sugery. Until then, I’m doing some pre-emptive peeping and dreaming until I’m ready to sit down and get to work. A little day dreaming doesn’t hurt for motivation to get my life going first. To everyone who wished us well, we are so excited for this next phase of our lives and our relationship, and we can’t wait to plan a huge celebration for our love.